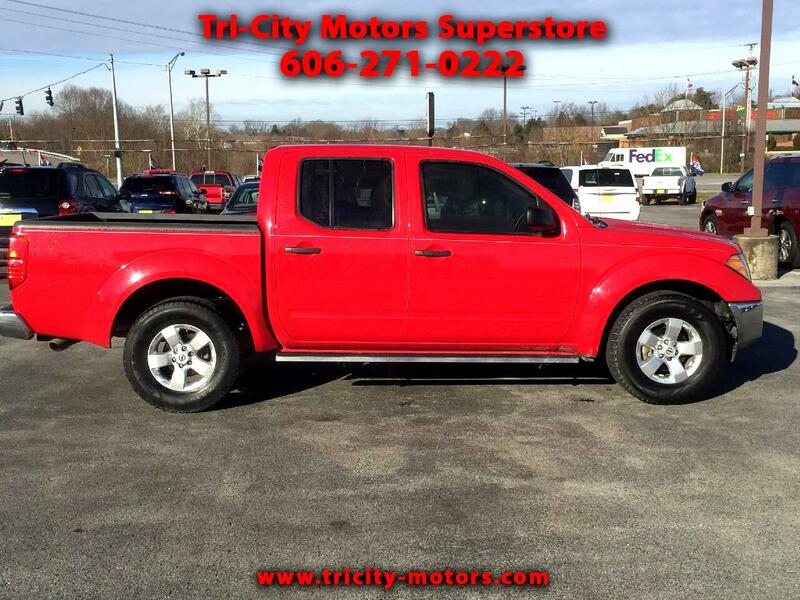 2011 Nissan Frontier Crew Cab 2WD -- Only 91K miles! Red exterior with Gray Cloth Trim interior, Automatic, Factory Alloys, ABS brakes, Side Seat Airbags, Side Curtain Airbags front and rear, AM/FM/CD/MP3/SAT stereo, Power Windows, Mirrors, and Locks, and Running Boards. CARFAX Certified! Just serviced and inspected! 10 year / 125,000 mile extended warranty available. COMPARE OUR VEHICLE QUALITY, MILES, AND PRICE! Specializing in quality 1 owner lease turn ins. Call or text 606-271-0222 or 606-679-4775, check online at tricity-motors.com or visit Tri City Motors Superstore at 2724 S HWY 27 Somerset, KY 42501.